A vast forest fire engulfed the city of Gülnar in Turkey’s southern province of Mersin on Sunday morning, leading to the evacuation of 200 citizens in a neighborhood nearby the under construction nuclear plant. Hundreds of fire fighters, along with helicopters dropping water, have been dispatched to the region and are struggling to put the flames under control amidst heavy winds. 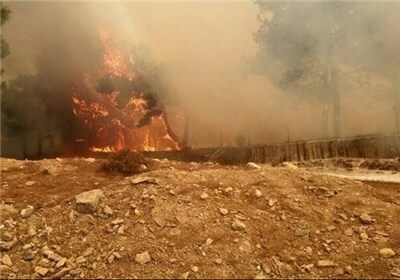 The nearby Koçaşlı neighborhood of 200 has been evacuated amidst the rapidly spreading flames, English – language web version of Turkish daily Bugün, BGN News, reported on Sunday. The area is home to the ongoing construction of the Akkuyu nuclear power plant. The cause of the fire, which started at 8:00am local time has yet to be determined.